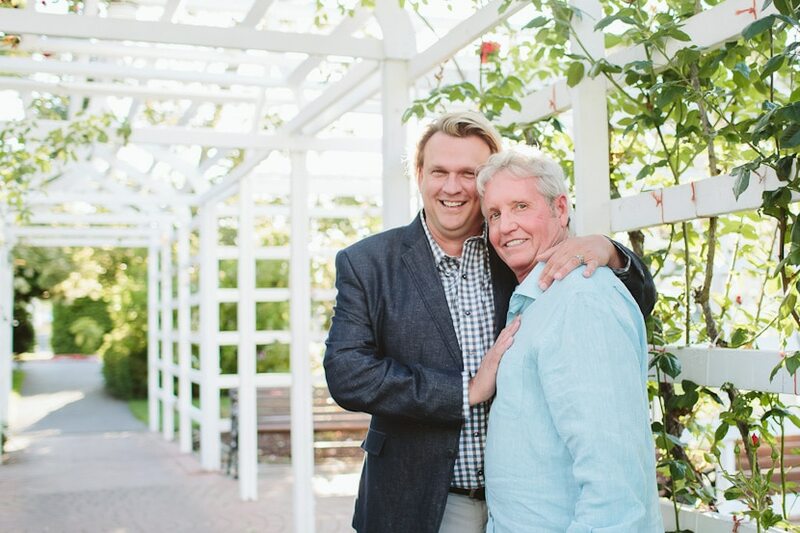 John and Barry came from Mississippi to get married at The Fairmont Empress Hotel in Victoria. Barry’s children and their kids came along to share in the celebration. It was a beautiful sunny day in a week full of rain and they got married in the gorgeous library with light streaming through the windows during the ceremony and dinner. John plans big fancy weddings and I think even he was impressed by the dinner decor the Empress put out. The selection of food and drinks at the cocktail reception in their suite and at the dinner was also fantastic. I’ve never photographed a wedding larger than this one at The Empress, but I would really love to. The best part of the day was seeing how emotional the grooms got during the ceremony, especially during their vows. I think Barry’s children teared up a bit too, despite the bathroom/water break in the middle of the ceremony (oh the joys of having young kids at a wedding). 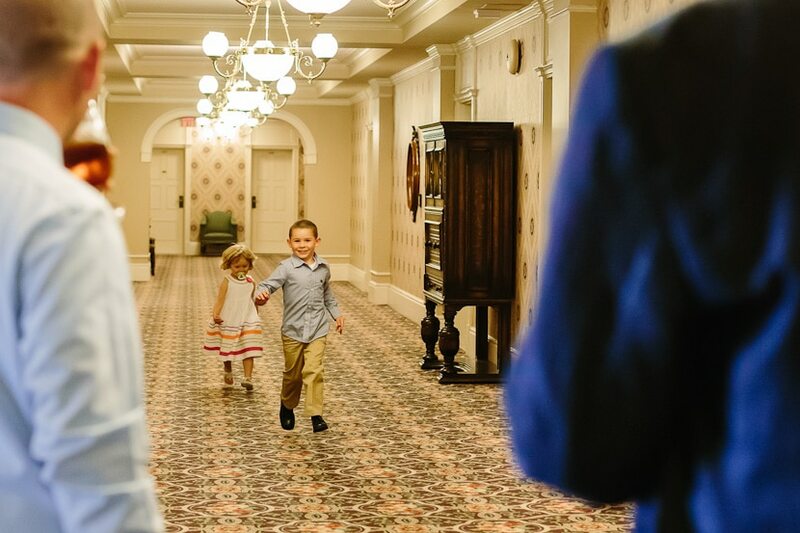 The young kids were so energetic after the ceremony, running around the hallways of the Empress and making everyone laugh. I was grateful that I brought Georgie along to second shoot and help manage the kids, because she did such a great job of photographing them. Here are some of my favourite photos I took that day. I love how there’s so much life in them. I hope you had a wonderful visit to Victoria, John, Barry, and family. We were so happy to be a part of your wedding. Find out more about having an intimate wedding in Victoria, BC.